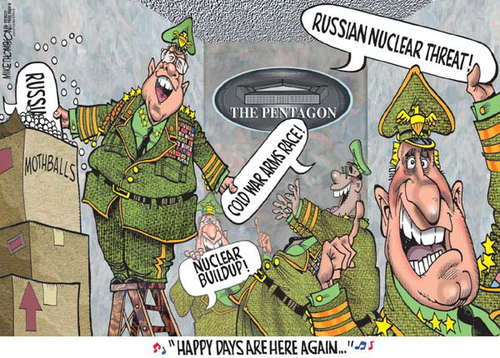 The continuation of NATO, after its counterpart the Warsaw Pact ended in 1991, is an insanity that’s driving the world inexorably toward World War III. 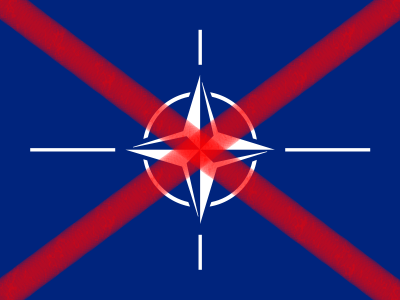 The NATO Treaty in its Article Five, «Collective Defense», asserts (as summarized by NATO): «Collective defense means that an attack against one Ally is considered as an attack against all Allies». In other words, when Syria and Russia respond to Turkey’s aggression by counter-invading Turkey, the entire NATO alliance are automatically Treaty-obligated to ‘defend’ Turkey from that justified invasion of Turkey by Syria and by Syria’s Russian ally. America’s President at that time in 1990, George Herbert Walker Bush, said privately to other NATO members, contradicting the message and assurances that he and his agents had verbally given to Mikhail Gorbachev saying that the Cold War was now at an end, «To hell with that! We prevailed, they didn’t». Bush was secretly committed to a military ‘victory’ over Russia, even though communism, which was the alleged cause of the Cold War, had ended. Bush wanted conquest; all subsequent US Presidents have followed along with that evil intent.